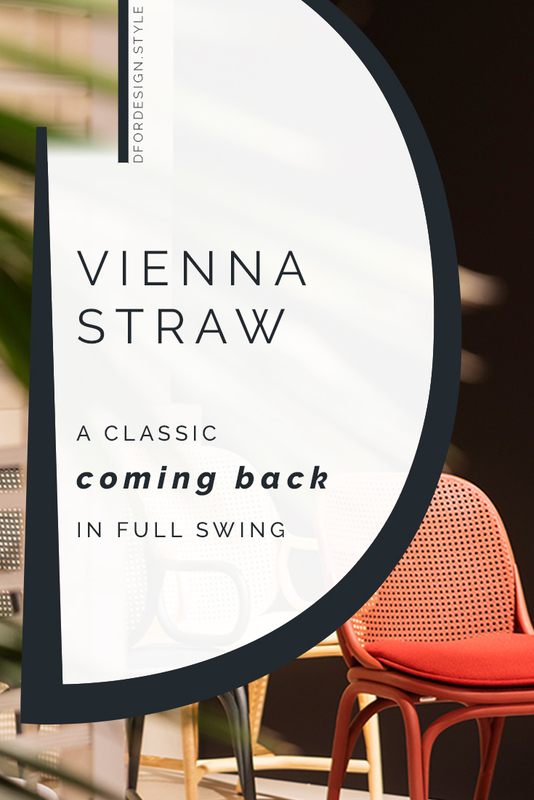 Vienna straw, one of the most classic patterns for woven furniture has come back in full swing and has definitely earned the title of new interior design trend! Some of the most prominent designers of our times (like Mathieu Lehanneur, Pietro Lissoni and Patricia Urquiola) have given their own interpretation and made it beautifully actual. 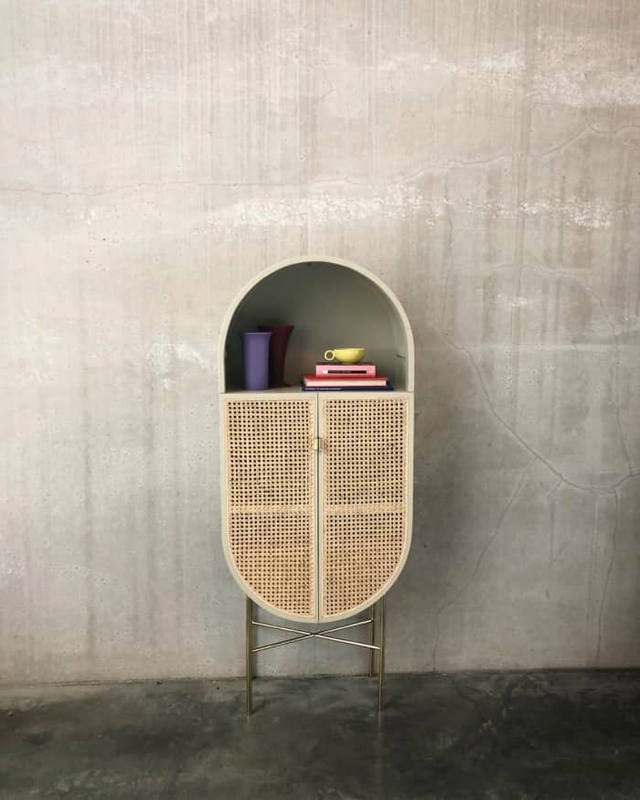 As a result, Vienna straw furniture and accessories were in display at all the latest design fairs and are now populating all the main interior design magazines as well as many catalogues. Call it a design trend! Classic and timeless at once, Vienna straw inserts dress modern furniture and accessories with subtle elegance. The result is a balanced mix of present and past, that brings in a lot of texture and tons of character! But let’s make a step back…what exactly is Vienna straw? Vienna straw is a particular type of furniture weaving, that creates a characteristic octagonal pattern. It takes its name from the Thonet chair, iconic seating manufactured by the homonymous company. The Thonet chair (No.14 Thonet chair to be precise) became so famous around 1859, when it was used to furnish a café in Vienna. From there, the chair was called the Vienna coffee house chair and its particular straw weaving pattern took the name of Vienna straw. 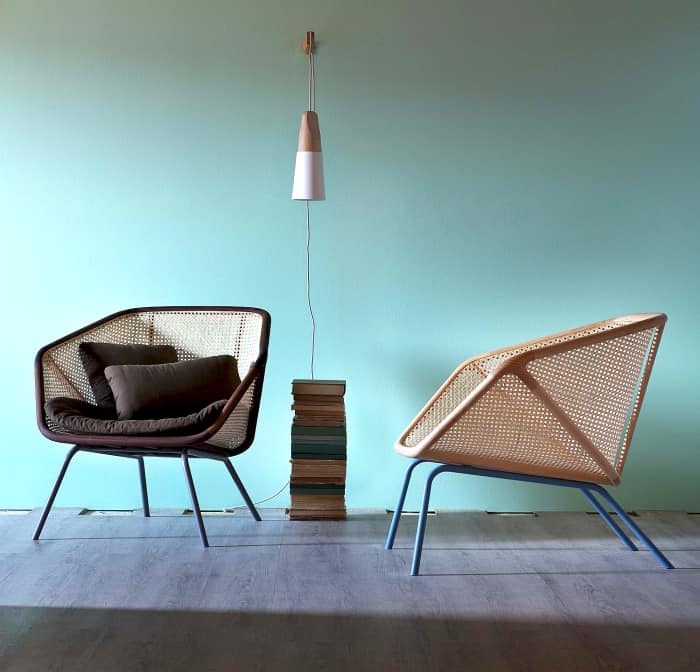 Grand Life is a beautiful wooden outdoor chair, with modern lines and a particular Vienna straw side. 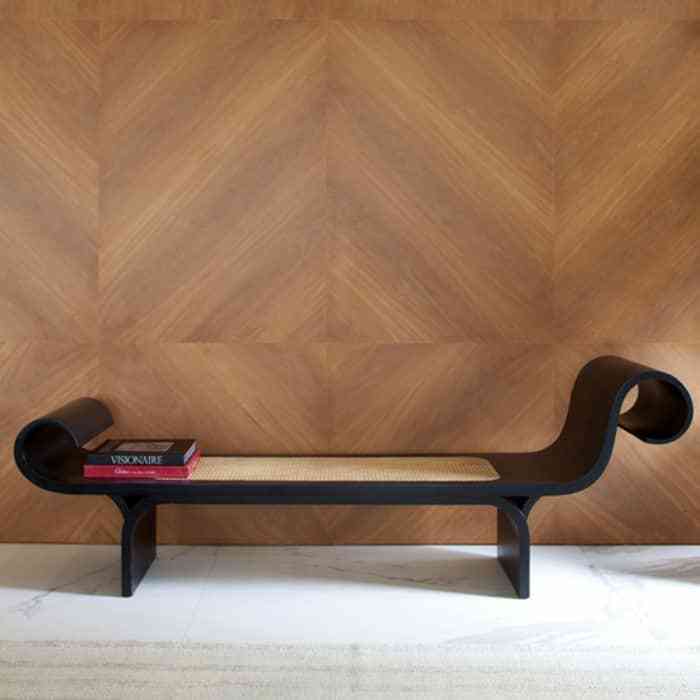 Designed by Christophe Pillet for Ethimo, it was presented at the latest Milan Design Week. Her name is Marquesa and she comes out of the creative minds of Oscar and Anna Maria Niemeyer, for the Brazilian company Etel. A natural Vienna straw seating creates a very interesting contrast with the black wood structure. 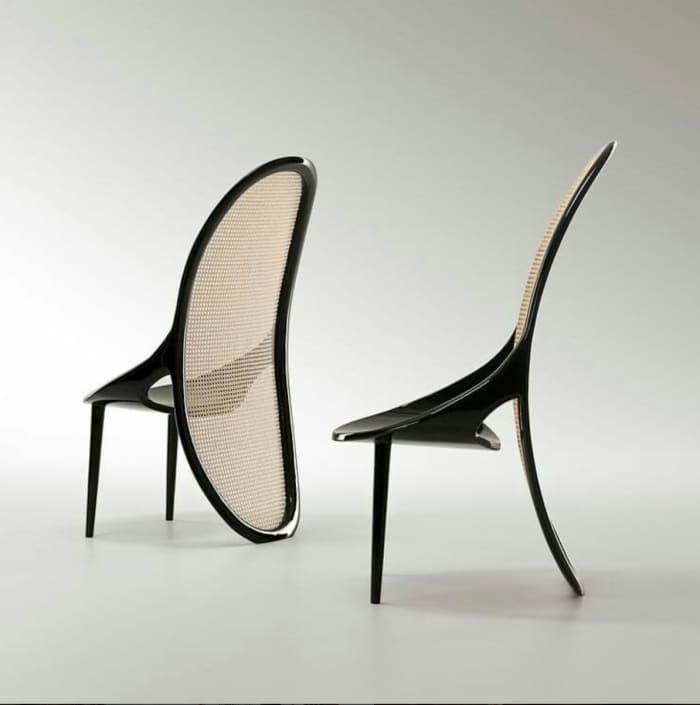 And its curved profile seems a tribute to the iconic Thonet chair, that first introduced solid wood bending in the furniture industry. Who said Vienna straw has to be kept in its natural colour? 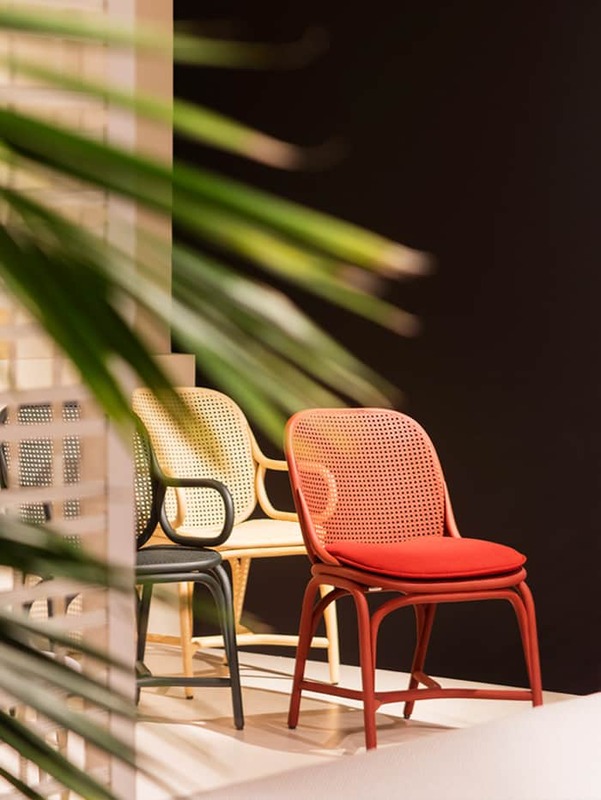 Expormim has seized the opportunity with the Frames chairs, that are also available in particular colours like Japanese red and forest green (design by Jaime Hayon). So if you like colours, you can still embrace this new trend in your space! 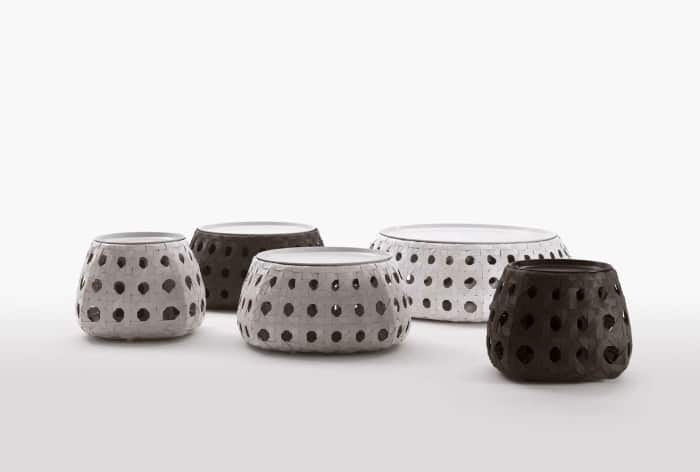 Vienna straw in XXL version for the outdoor coffee tables Canasta, design Patricia Urquiola for B&B Italia. 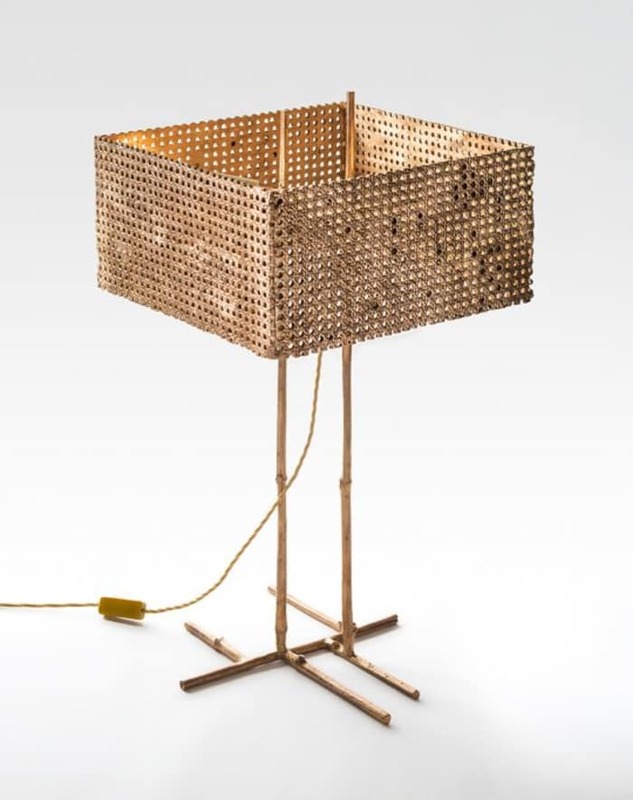 This lamp in natural bronze reproduces the typical woven Vienna straw pattern with metal. Produced with lost wax technique, it is hand-made, introducing that perfect imperfection of hand-made products. A great design by OMV (Osanna, Madina Visconti di Modrone) with an evocative name: Paglia di Vienna (i.e. Vienna straw in Italian). 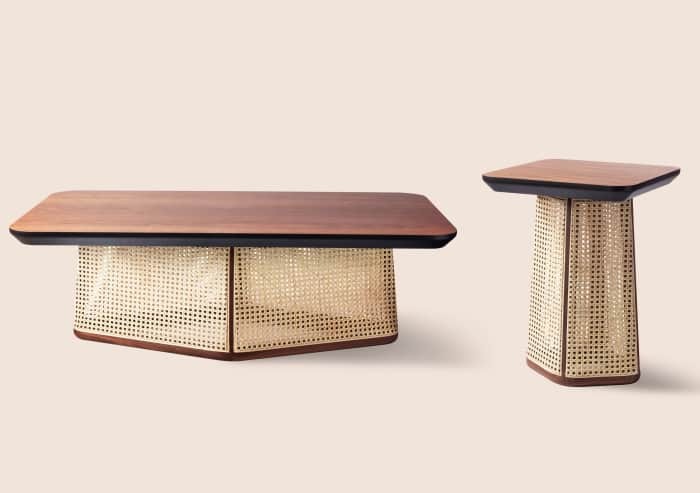 Colony is a whole collection designed by Skrivo Design for Miniforms that features Vienna straw inserts in an impressive three-dimensional room divider, a modern armchair and stunning tables, that pair a Vienna straw base with a smooth top. 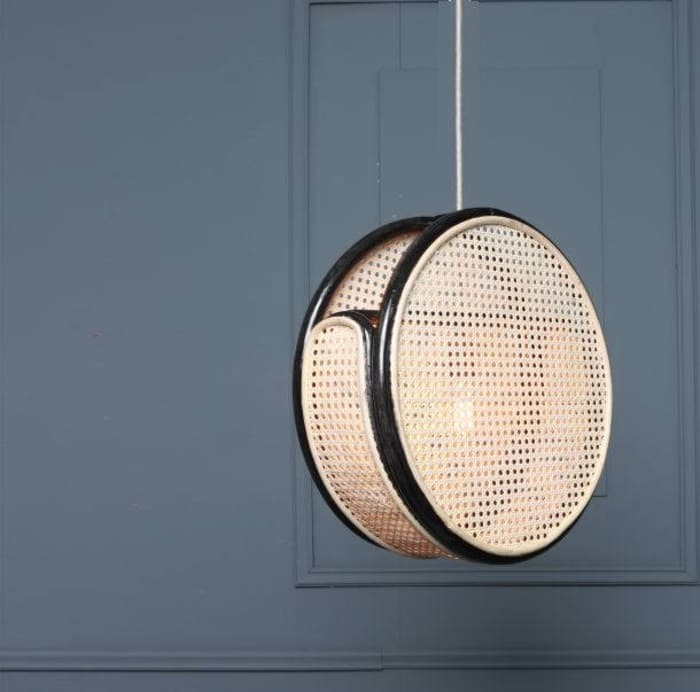 Designed by Studio Colonel for Serax, Straw is a beautiful pendant light fixture, where a modern metal cage blends perfectly with the earthy feeling of the woven Vienna straw shade. A great find from Etsy here! Bent is a pendant chandelier that seems made out of the seats of two traditional No.14 Thonet chairs. But I would still definitely pair it with modern furniture! And what about pairing Vienna straw with metal? HK Living tried it in their new Retro cabinet, and it looks stunning! 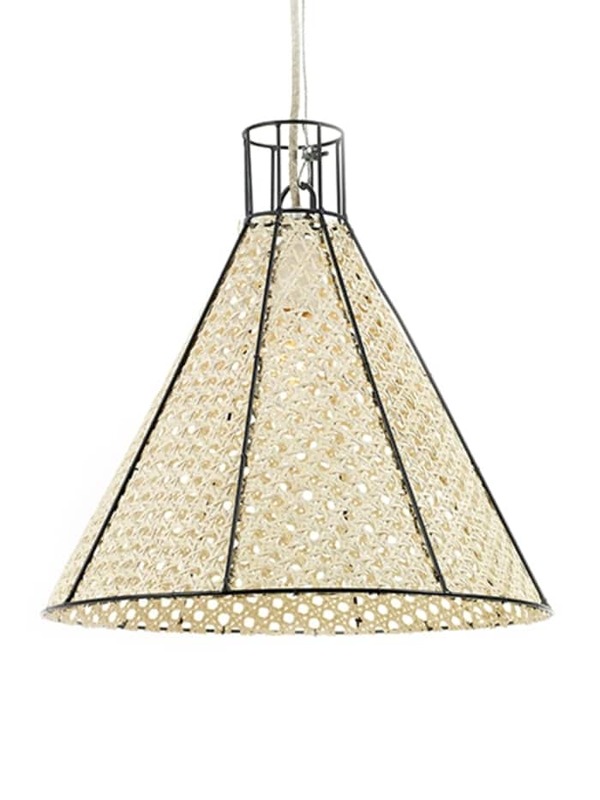 The woven texture looks just great with the modern feel of metal; not to mention its cutest oval shape! And here is Wiener chair, an amazing sculptural chair with a full height Vienna straw backing (design by Gabriella Asztalos). Its eye-catching shape would definitely make for a unique accent in a modern interior and I absolutely love the thin side profile! To finish with, a couple of cleaning/maintenance tips for this particular material. Extremely resistant and durable, Vienna straw furniture still needs regular cleaning. A little brush comes in very handy to give it a deep cleaning and make sure no dust or other particles get stuck in the weaving. And to help your furniture stand the test of time, it’s good practice to slightly wet out the back of natural Vienna straw inserts from time to time. This will preserve the elasticity of the material and make it last long years. Because even when we’ll see a new interior design trend on the scenes, the allure of Vienna straw will remain timeless! So now we’re all equipped for the comeback of Vienna straw! 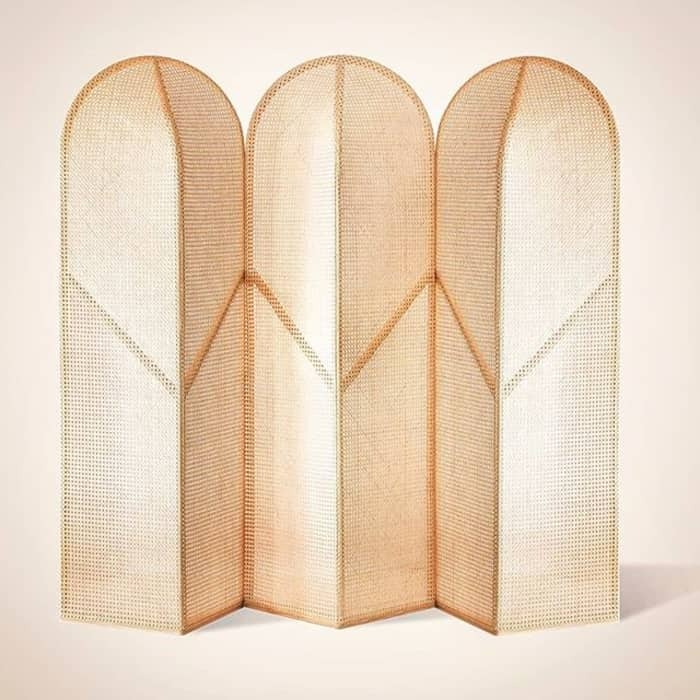 With its characteristic earthy feeling, it is perfect to create a summer ambiance, especially if paired with other natural materials like rattan, linen and cork. But it will surely also last into the next seasons and the 2019 catalogues of many interior design companies confirm it!